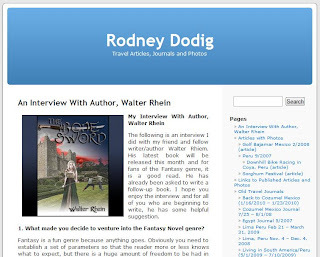 Here's an interview that I just did with my friend Rodney Dodig. He's a pretty nice guy who I met while I was working and living in Lima, Peru. Also, "The Bone Sword" is now available on Kindle, so check that out too!